Banksy sprays an artwork of Steve Jobs onto a wall in 'The Jungle' refugee camp in Calais. 2. 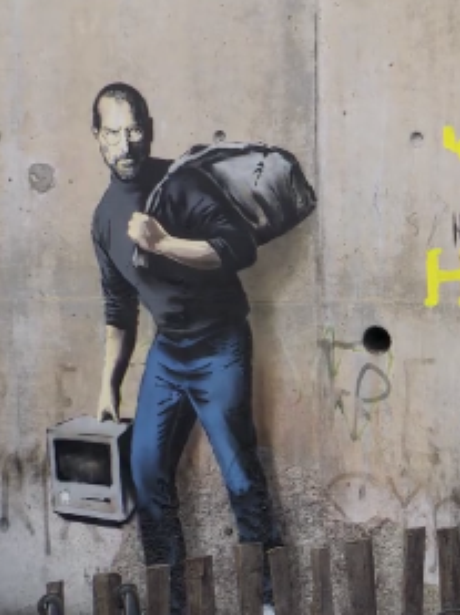 Banksy sprays an artwork of Steve Jobs onto a wall in 'The Jungle' refugee camp in Calais.